1:30 - 2:30 - Access Denied: Writing the FOI request is just the beginning. Too often, a denial letter is what follows. Learn tips and tricks from journalists, attorneys and open government advocates about how to write better requests and the best way to proceed once a request has been rejected. Bring your examples for advice on crafting requests and strategies for appeals. Moderated by Shane Shifflet, journalist, Huffington Post. Panelists: Kris Hundley, independent journalist; Coulter Jones, the FOIA Machine; Barbara Petersen, president, Florida First Amendment Foundation; Thomas Susman, director of governmental affairs office, American Bar Association. 2:45 pm – 4:00 pm - Membership Development: Meet with NFOIC representatives and professionals to hear and share ideas and best practices about building your organization’s membership and supporters. Discuss training, programming and social media strategies for engaging your constituents, particularly young people, advocacy groups, issue bloggers, government employees, elected officials, and social entrepreneurs. Presenters: Susan Boe, executive director, New Mexico Foundation for Open Government; Jeffrey Roberts, executive director, Colorado Freedom of Information Coalition; Megan Rhyne, executive director, Virginia Coalition for Open Government; Justin Silverman, executive director, New England First Amendment Coalition; Elly Snow, executive director, Washington Coalition for Open Government. 4:00 pm – 4:15 pm – Break - Continue the conversation and catch up with old friends. 4:15 pm – 5:30 pm – Financial Development: Collaborate with NFOIC board members, representatives and professionals to develop plans and strategies to build your organization’s financial base. Learn how about identifying appropriate grants and foundations, how to prepare and request financial assistance with strong messaging that resonates among your donors, contributors and funders. Talk about successful fundraising events built on a shoestring budget. Presenters: Farhood Basiri, chief technology officer & managing partner, Bellwether Software; Hollie Manheimer, executive director, Georgia First Amendment Foundation; Kelley Shannon, executive director of the Freedom of Information Foundation of Texas. 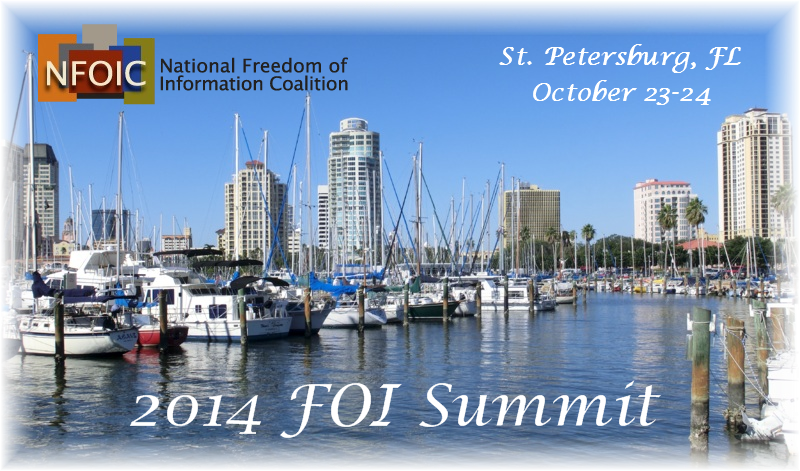 NFOIC Annual Membership Meeting including organizational updates and reports. The FOIA Machine and You – FOIA Machine is an integrated web platform for preparing and managing records requests at all government levels. Learn how it can help anyone write, track and organize FOIAs and how local NFOIC members can get involved with the project to improve citizens' access to government information. Presenters: Coulter Jones, The FOIA Machine; Shane Shifflett, journalist Huffington Post. 10:45 am – 12:00 pm – Session - Open Government vs. Open Data: What is “open government?” We may think it’s a process of requesting public records. Or perhaps we think it's a culture of transparency within a public institution. What about “open data?” To some it’s a structured format of public data sets. To others, it’s a data dump of unstructured information consumed and repurposed by civic hackers to make better public use of government information. The two terms and their concepts are not always connected and can exist without the other. Learn more about the connection and disconnect between open government and open data, and how emerging information and communication technologies has led to new challenges and changes for government and the governed. Moderated by John Marks, instructor, Florida State University. Panelists: John Kaehny, executive director, Reinvent Albany; Doug Robinson, executive director, National Association of State Chief Information Officers; Emily Shaw, national policy manager, Sunlight Foundation. 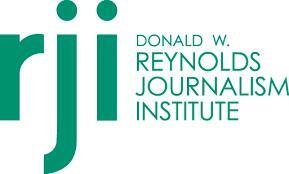 12:00 pm – 2:00 pm – Hall of Fame Luncheon - Keynote Speaker and 2014 induction into the State Open Government Hall of Fame. Keynote Speaker: Thomas S. Blanton, director of the National Security Archive at George Washington University in Washington, D.C.
State Open Government Hall of Fame Induction: Mr. John Paff (New Jersey). 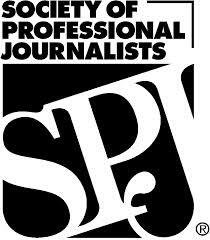 Annually, the Society of Professional Journalists and the National Freedom of Information Coalition recognizes a “Hero of the 50 States”; an individual who has left a legacy at the state and local level for their service, accomplishments and contributions to keep state and local government records and meetings open and accessible to their fellow citizens. 2:15 pm – 3:15 pm – Session – FOI Fees: Governments can control access to its records by how much it charges requesters. Every state has its own model based on laws and policies, and each model can generate its own set of problems anyone requesting public records. Hear about the different approaches used and recent rulings that are causing concern among the FOI community. Discuss strategies and potential solutions to combat excessive fees. Moderated by Thomas Susman, director of governmental affairs office, American Bar Assoication. Panelists: Mark R. Caramanica, attorney, Thomas & LoCicero; David Cuillier, associate professor and director, University of Arizona Schoolof Journalism. 3:30 pm – 4:30 pm – Session - Governing the governors: Access to the public records of state governors present special challenges. These elected officials wield an enormous amount of power, making access to their information difficult to reach. Recent FOIA battles to obtain records on the professional activities of governors have been revealing and often do not paint a pretty picture. Learn more about what is being hidden from the public in the highest office of the state in New York, New Jersey, Florida, Virginia, New Mexico and Maine to name a few. Moderated by Sandra F. Chance, professor, University of Florida, and executive director, Brechner Center for Freedom of Information. Panelists: Susan Boe, executive director, New Mexico Foundation for Open Government; Mary Ellen Klas, capital bureau chief, Miami Herald; Rosalind S. Helderman, national political reporter, WashingtonPost. * The agenda is subject to revision as new activities are added to the summit.